Tennis star, Eugenie Bouchard made her Sports Illustrated swimsuit edition debut together with Serena Williams and Caroline Wozniacki. The 22-year-old also made one lucky fan’s dream come true! 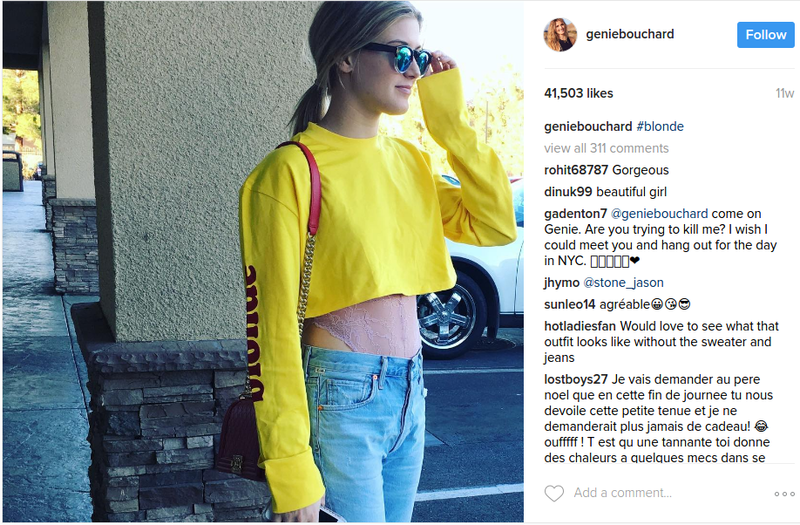 Canadian tennis player, Eugenie Bouchard had a very busy week. Not only did she preview her sizzling photo shoot for the new Sports Illustrated Swimsuit Issue, but she also went on a blind date with one lucky fan! Bouchard had wagered that the Atlanta Falcons would win the Super Bowl 2017 when one New England Patriots fan named John Goehrke, bet her a date that his team would win! 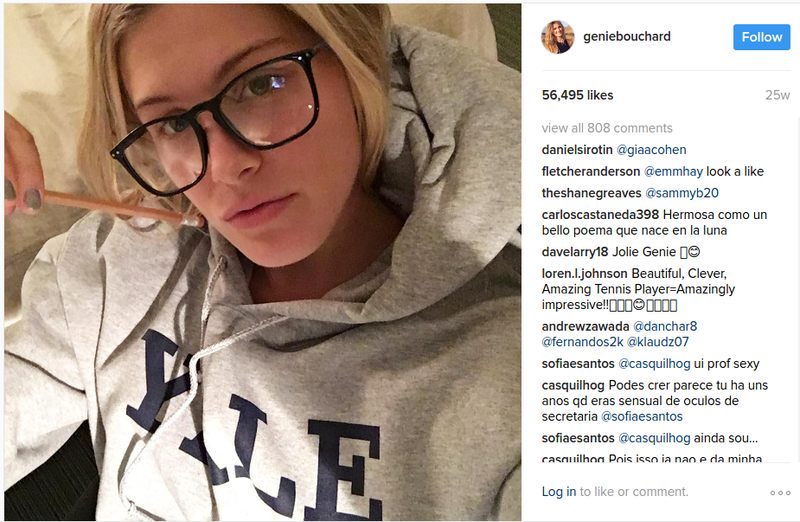 As we know, Tom Brady led the Patriots to a resounding victory and Bouchard honored her bet with Goehrke. 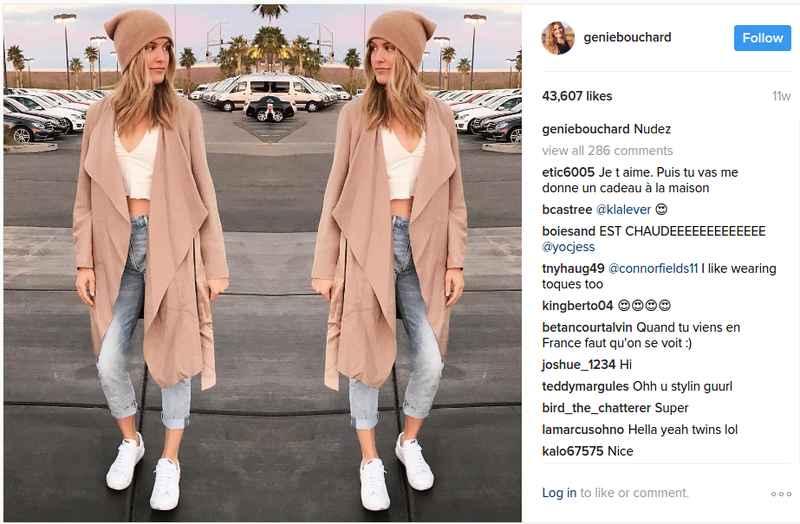 The 22-year-old went on a date to a New York basketball game with her fan, and Bouchard even revealed she’d like to go out with him again! Goehrke has probably made himself an envy magnet now, but they certainly make a cute love match. Now, the famed tennis player (ranked #47 in the world) can also add “Sports Illustrated model” to her list of achievements. She made her debut as an SI model alongside 23-time Grand Slam Champion, Serena Williams and Danish tennis pro, Caroline Wozniacki. The young pro player looks unbelievably stunning, as she rocks swimsuits at the beach shoot for the 2017 swimsuit edition, which features Kate Upton on the cover. 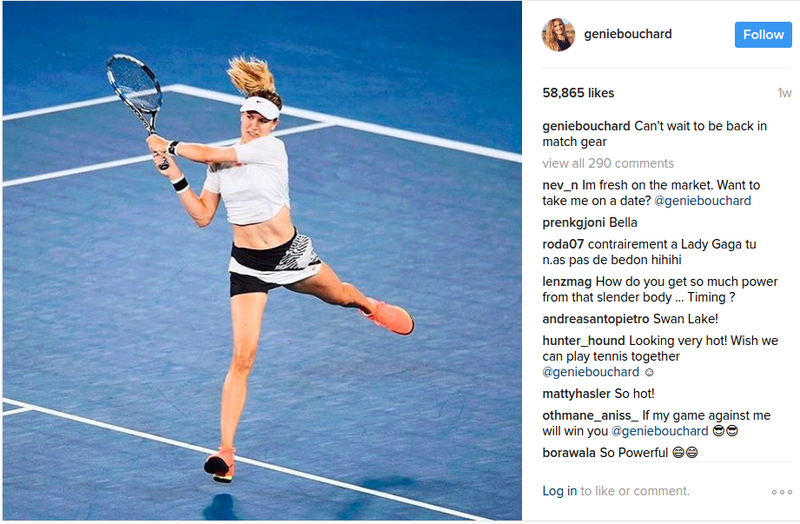 Bouchard’s heart-stopping SI feature has brought to notice that this young tennis player can give any model a run for her money! 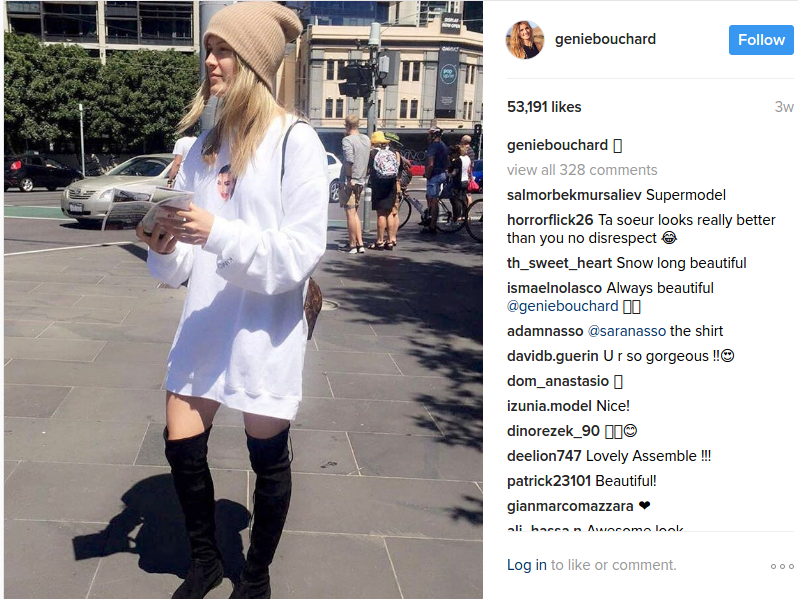 So, we’re highlighting just how stunning Eugenie Bouchard is by sharing with you her hottest pics from her Instagram account. #1 If you’ve got it, flaunt it. 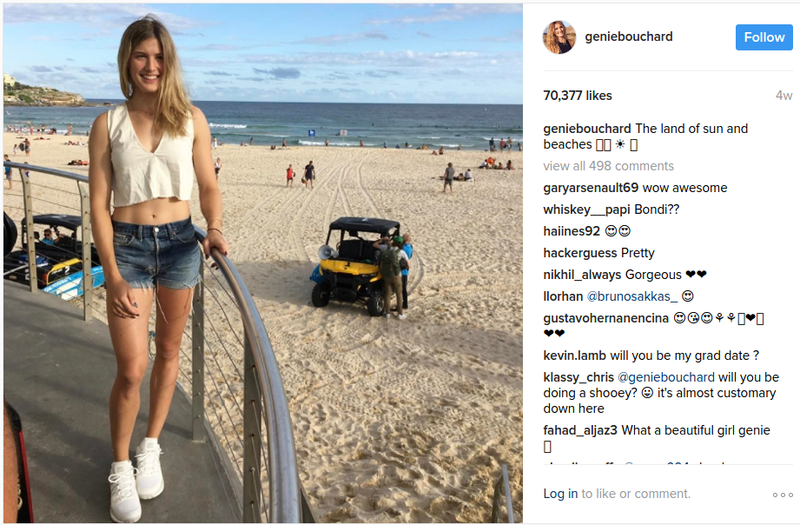 And Bouchard isn’t shy about showing off her stunning beach bod! #2 Geek Chic Extraordinaire! The tennis pro knows how to nail the look. 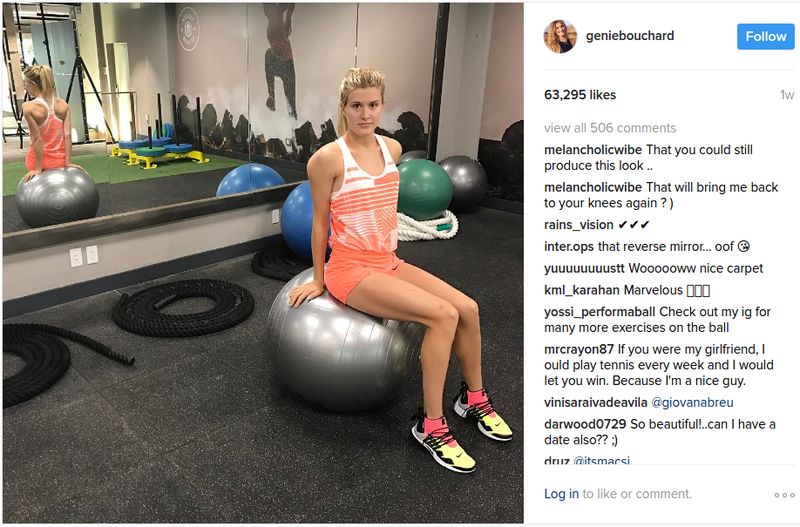 #3 Bouchard may have sworn off laying bets, but if there’s a bet for anyone to look so good working out in the gym, she would win hands down. #4 Show of hands, who is tempted to take up tennis every single day now? #5 There’s many a young fellow who’d love to be in Goehrke’s shoes right now and go on a date with this beauty! 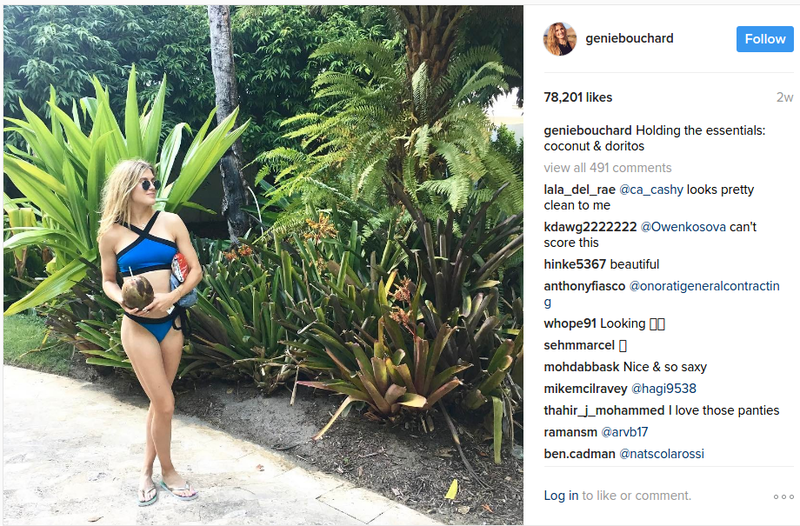 #6 Bouchard knows how to vacation right! She is definitely a shoo-in for another SI swimsuit edition! #7 The tennis star’s fashion sense is on point. The cherry on this cute dress-boots-beanie cake is the crying Kim Kardashian Emoji or ‘Kimoji’ on her dress. #8 Sunny smile, edgy crop tops and bold short shorts, that’s all Eugenie need for a trip to the land of sun and beaches! #9 Selfie Goals Much? We loved the tennis ace’s arm definition as much as she loves it herself. #10 Once again Bouchard proves she’s got all the makings of a model.